by Dr. 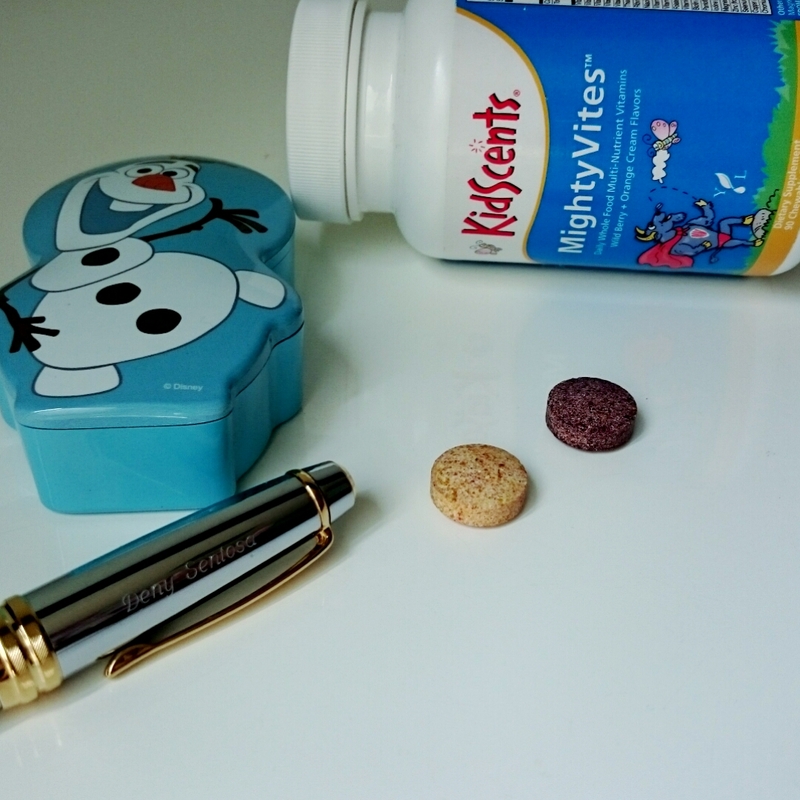 Deny Sentosa, Ph.D | Let's talk about Mightyvites – YL multivitamins for kids! 02 Feb Let's talk about Mightyvites – YL multivitamins for kids! This is the latest supplement that I gave to my girl (4+ years old). I wait till she’s 4 years old before I give this. Reason? Because I wanted to give her when she’s 1 year old and the pharmacist in Japan told me that multivitamins could be burden to heart. So I decided to do some readings, and then decided to give when she’s 4 years old. Young Living is considered the best YLEO and natural products (I may be biased, though) and I believe the supplements will live up to its reputation. The directions in the bottle also says 4 years and above. If you want to give prior to 4 years old, I would say just break the tablets into small pieces and give small bits. So what supplements I give to her? I give her in batch, not all at once. the first supplements that I gave her were Ningxia Red and Super C Chewable that benefited her and me and my husband. I gave when she’s 1.5 years old. She does not drink milk regularly since she’s 2 years old. She’s breastfed till 15 mths. Next was Sulfurzyme for her immunity and digestive support. This I gave her when she’s 2.5 years old. Then Mightyzymes (vegetarian) and pretty good enzymes to break sugar, carbohydrate, fat, protein, etc. It does not have essential oil! For those having allergies on certain food, this is certainly great choice to help digestive system. Mightyvites is interesting. It has 2 flavors. Orange and Wild Berry. And each flavor contains slightly different ingredients! However, each tablet still supplies vitamins and minerals need of a child. It is chewable. Similar like Super C chewable. My girl seems to prefer orange flavor but she will take wild berry flavor too. It’s a bit sour but she likes them. TIP: please use smaller bottle when you want to keep opening the lid. The tablets can oxidize if being reopened often. Can you guve Mightyvites and Mightyzyme at the same time?